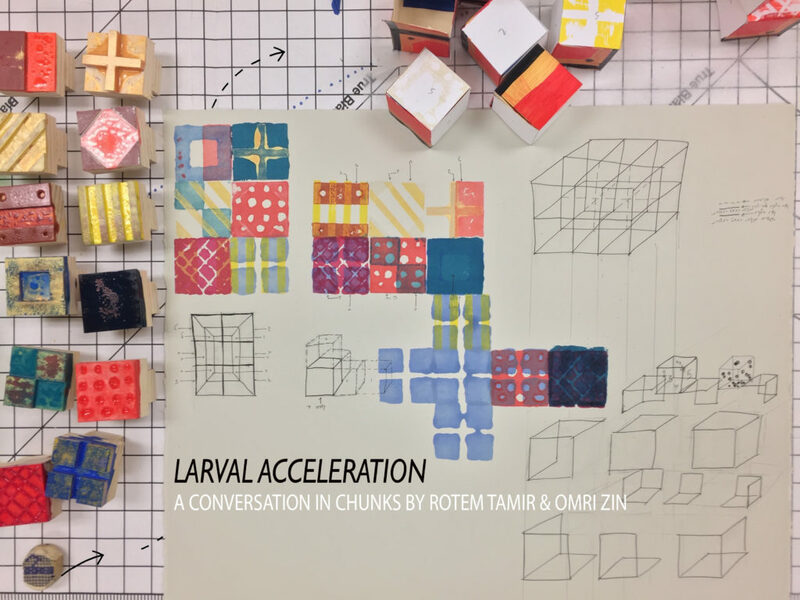 FSU Art Visiting Assistant Professor Rotem Tamir and Visiting Scholar Omri Zin are happy to share that their collaborative show Larval Acceleration: A Conversation in Chunks, which is currently on display at Locust Projects in Miami, will be screened in the main gallery at the Tel Aviv Artists’ Studio in the coming week (March 20 – March 17, 2017). For more information about Larval Acceleration, please see their previously-published press release. For information about the exhibition at the Tel Aviv Artists’ Studios, please visit their website (in Hebrew).